My name is Andrew Carmany, and I am the area director of Sioux Falls Young Life. I first was introduced to the ministry when I was studying at the University of Sioux Falls in 2011. It was one of my first nights on campus, and I got a call inviting me to join a meeting. I came away from the night still not even knowing exactly what Young Life was, but I knew for sure, I loved the people. I continued to volunteer for Young Life until I graduated from college then began work as a behavior facilitator at Roosevelt High School in Sioux Falls before entering into Seminary. Throughout all these transitions, I continued my vocation with Young Life in some manner until last year, when I stepped up as the Sioux Falls Young Life full-time area director. 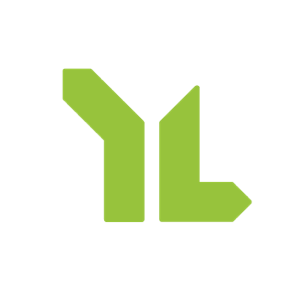 Young Life is an international youth ministry organization founded in Texas in 1941 by youth pastor Jim Rayburn. Over 75 years ago, Jim had the foresight to recognize that there were kids in his community who were never going to step foot in a church and yet, those kids still mattered. He knew those kids still needed people in their life to listen to them, to walk alongside them and to speak truth to them. And he also knew that the only way to do that was to go to the kids, wherever they were, and meet them on their own turf to earn the right to be heard. That’s how Young Life was born, and the heart of the ministry today continues to be this simple invitation, going to the adolescents where they are at and building authentic relationships with them. Today, Young Life exists in all 50 states, over 100 countries and reached over 2 million kids over 2015 and 2016 alone. Adolescence is such a crucial time, figuring out who you are and answering life’s big questions, and Young Life is simply loving adults coming alongside these kids during a sensitive time in their life to guide and support them. Young Life accomplishes its mission through different programs in the city. Monday night Club is a party with a purpose where kids gather every week for music, games, characters and wildness, because kids are allowed to be kids and be safe and to hear at least a snippet of the good news of Jesus Christ. We also have Summer Camp, which is a week of growing relationships and high amounts of fun. Young Life owns over 30 camps in the nation, from northern Minnesota and Southern California, to upstate New York and the Colorado Rockies. At these camps, kids are able to put aside any distractions and voices — from parents to media to friends and school — it’s all put aside so they can hear the good news of Jesus and be given the opportunity to consider what that might mean in their life. We also just meet for coffee, play disc golf, or go to sporting events or concerts just to be there for adolescents and support them. This ministry is entirely built upon relationship. If a kid says, “Yes! I want to know more about Jesus,” we immediately get to walk alongside them in that because we’ve already built a relationship together. And if they aren’t ready to talk about Jesus, that’s ok, too, because we still get to maintain a friendship with one another and be there for them. Either way, we invite young kids to just be themselves around us. It’s a great balance of being totally goofy and off the wall with one another, but because we love each other so well, we also get to be honest and authentic about what is going on in our lives. And adolescents are some of the most fun people to be around! Yes, teenagers can be unmotivated or act nonchalant, but we see their goodness, and we know that they still have the same desire as we do to be known and to be a part of something, so giving them that takes a patient, consistent relationship. Considering we meet kids where they are at, it’s also important that we build relationships with the local schools, including the administration, the teachers and the staff. What does it look like for us to be in the school with them? We ask the staff, how can we serve your students? Can we serve as mentors, tutors, a monitor during lunch or as a guest speaker? What are opportunities that we can help care for the kids in the same way they desire them to be cared for? We ask these questions of local schools in hopes of not only building relationship with kids but with the school administrations, too. We have a great relationship with Roosevelt High School in Sioux Falls, and we hope to build a presence with the other high schools in town as well as the middle schools, too. And we are always wanting to bring in new volunteers! We want to serve our volunteers well and give them an opportunity to be successful and effective with high school kids. We need to continue to recruit and train leaders and then care for them well just as much as we care for our high schoolers. In prayer, in hoping and in advocacy, we are trusting and seeing God’s faithfulness. He is showing us that there is a need for Young Life to grow and prosper. Young Life is easy to speak about, but it’s impossible for anyone to get a sense of what the ministry actually is without coming and seeing and being a part of it. So I just offer an open invitation, if you are interested in Young Life at all, to come and experience it and feel the work that the Lord does here! We are impacting adolescents every day in many ways! I had a student at Roosevelt who for two years, I tried to get involved in Young Life. He had come from a broken home and his dad wasn’t in the picture, so I was patient with him. But for two years, I would invite him to a Club on Monday night, and he wouldn’t show up. Finally, I called him up one day and told him we had spots available for a summer camp, and he said yes! Just like that! I knew it wasn’t my doing but the Lord showing me that the time was finally right, but you should have seen his progress. Suddenly, he was asking, who else of my friends can I invite? How can I be involved in bigger ways, and, what does it look like to actually read the Bible? It was incredible! Walking with him, I remember feeling overwhelmed, because there is this incredible weight to it, knowing that God has trusted me with this work. But I also know that God goes before me in it, and that He created me for this work. It is a pleasure to walk alongside these kids, and even amid the hard conversations and the hard realities with them, there is so much joy in the time with the kids. I am so grateful.